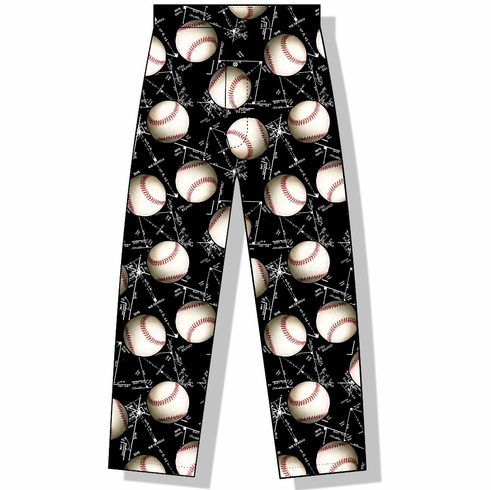 Baseball Schematic Youth XS Lounge Pants. These light weight children's baggies are perfect for lounging around the house. These extremely comfortable 100% cotton pajama pants have an elastic waist with a drawstring. Flame resistant. Limited Quantities.